After the recent restrictions imposed on H1B Visa which allows students to work in USA, the USCIS has introduced a new policy which would affect the F1 OPT or the student visa. The new policy limits the OPT or Optional Practical Training extension for STEM. Earlier students who opted for STEM courses could get an extension of 24 months after the initial OPT. However, the new policy would limit the same. The United States Citizenship and Immigration Services (USCIS), has recently set out extensive explanations on its website as to what constitutes a bonafide employer-employee relationship and on an employer’s obligations. The new policy now changed the interpretation of employer’s obligations by the USCIS, as mentioned on their website. The changes now implicate that the students cannot work at the employer’s client sites. With these restrictions, the students would find it difficult to be hired by tech companies or even business consultancies. STEM courses are the largest group of subjects chosen by students who wish to study in USA. Optional Practical Training, OPT is temporary-basis employment for International students having an F1 visa, eligible for a 12 month OPT period under which they can work in the US in a job which is directly related to the major study area of a student. Those, who have completed their degrees in science, technology, engineering and mathematics (STEM) are eligible to apply for a further STEM OPT extension of 24 months. STEM students under the OPT are often recruited by consulting companies in the technology or business management sectors. With the new policy introduced, the students who are either planning to or already studying in USA for STEM or Science, Technology, Engineering and Mathematics courses would be directly affected. The recent update by USCIS is applicable to the STEM OPT extensions. Several international STEM students hoping to work in the United States (US) for a longer duration suddenly find their wings clipped, owing to an interpretation of employers obligations by US immigration agency. 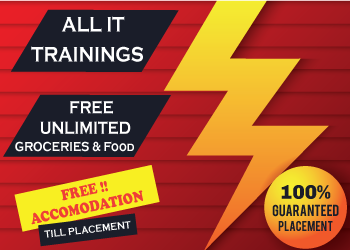 Their training experience can now only be in-house at the employer’s own work site that means the STEM students can only work direct for employer and not allowed to work as on client side or third party employers, which will dent opportunities to work for tech or business consultancies. 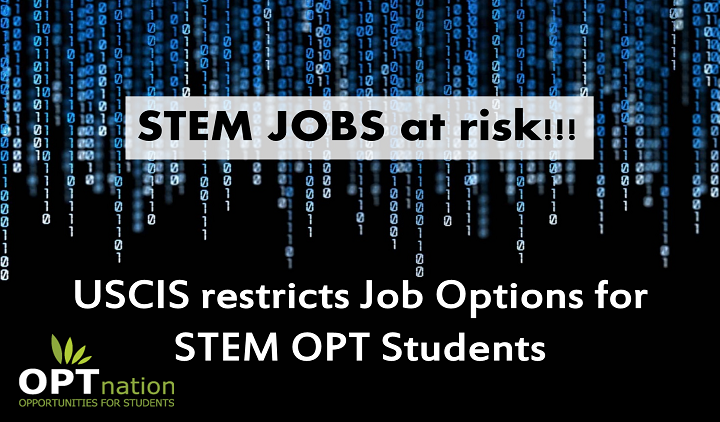 The recent explanations by USCIS apply to the STEM OPT extensions. USCIS has spelled out that such students cannot work at the employer’s client sites, which will make it difficult for students to find suitable employers. Going a step further, many students after finishing their OPT under an F-1 visa status obtain an H-1B sponsorship, and if they get an H-1B visa they continue working in the US. Now, even their future prospects could be hampered. STEM OPT always asked for a formal training programme which confirmed the employer’s commitments. Both the employer and the student were required to sign Form 1-982. However, until now, the fact that the students cannot work at a client site was not clearly specified. The USA is already seeing a drop in the number of international students. For example, lesser students applied during the year-long period ending September 30, 2017. Only 47,302 student visas were issued during this period as compared to 65,257 visas in the earlier twelve months, meaning a drop of 27%. If OPT opportunities drop, the motivation to study in the US may decline further. If OPT opportunities narrow down, the incentive to study in the US may drop further.